Local of the month: AEGEE-Brno is getting serious! 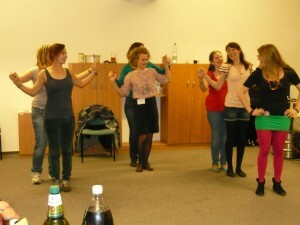 Maybe you have heard the name of AEGEE-Brno in connection with Summer Universities (SU), New Year events, Spring Universities or local events, but in any case in connection with fun. However, in April they took the challenge to organise the first Network Meeting (NWM) in their and in Czech history, showing that they are able to organise serious events, too! They have been and can be an example for locals who are stuck on the same path. This is why The AEGEEan selected them as “Local of the Month”! What was special in this Network Meeting? The fact that the NWM had a website was also peculiar for such a short event. Veronika Gombárová, President of AEGEE-Brno, explains that the idea of having a website came from their Network Commissioner (NetCommie) Pavel Zbornik, but all active members cooperated on the final look of that website, supporting Michal Veselý, the IT responsible, who was also in charge of the website. The website was very helpful both for the team and the participants; the lattest could find all needed information in one place, while the antenna benefited in terms of marketing. In fact, “it was a lot easier to make the event more visible thanks to sharing the link to the webpage, where everyone could find the main info, rather than to write long messages which not everyone has time to read,” adds Veronika. The result was 26 happy participants from 9 different countries, to which we should add Beáta Matuszka, Guillermo Garcìa Tabarés and Pavel Zbornik, who were there as trainers. Fun and learning mission: possible! The program included, apart from a “standard” workshop like Human Resources and the musts-of-the-year Erasmus for All and Action Agenda Implementation, an explanation of the proposal for the upcoming Agora and an original workshop on ice breaking games and team building activities for SUs. In fact, Summer University is a regular event which AEGEE-Brno organizes every year and every time with one or more antennae. Veronika provides more details about their partners: once the other two Czech antennae (AEGEE-Praha and AEGEE-Plzen), once AEGEE-Bratislava and last year AEGEE-Budapest for the SU called AEGEE of Empires, which won the award for the most creative title of an AEGEE event. “This year our partner is again one of the Czech antennae, AEGEE-Plzen. Together we make “Czech Mission: Possible!” where first aid and survival courses will be the main focus. We also want to fill our SU with sports and adventure (like kart racing, paintball and rafting). Every year, the SU is the most important and biggest event in AEGEE-Brno, so we try hard to make everything perfect.”, explains Veronika. And thanks to the ice breaking games workshop from the Network Meeting, they will also have a successful kick-off for the event! If the reader is not yet convinced about the potential of this antenna, he should read the opinion of Nadia Schneider from AEGEE-Berlin, who participated in their New Year’s Event some time ago, but still remembers that “Their team is great! Even though their antenna is not among the biggest, the organisation of the whole event was at the highest level – all parts of the social program were well combined, so the participants were neither tired from it, nor bored because of too much free time. Everyone from AEGEE-Brno was at our disposal, to provide all possible assistance with our questions or issues at any time. All this would not have been possible, I think, without them being a real family as they are! They are all close friends, but at the same time they always welcome anyone who wants to join their team!”. Are you convinced enough? Then you can join one of their future activities! In fact, they are planning to organise other serious events, such as European Schools, as well. Further future goals are to continue cooperating with the local university, to improve fundraising, to expand the number of members, especially active ones, and to start regular Local Training Courses. “We haven’t organised any so far, but it is really important to educate our members about AEGEE and all the possibilities it offers. I feel like right now, with the members we have at the moment, it is the time for us to do big things!”. These are the last considerations of Veronika, before congratulating her and her teammates for the amazing job they have done and thanking them. 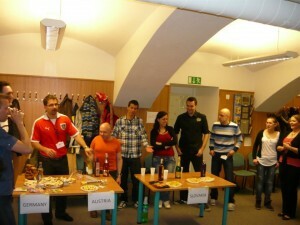 The AEGEEan praises this spirit and wishes AEGEE-Brno to realise all their future goals!